Bridgeport Marketplace was designed with the community in mind. With a walking trail, lake and expansive seating and gathering areas, Bridgeport Marketplace is the place to go, not only for shopping and dining, but for socializing and celebrating. Connect with loved ones and meet new friends at Bridgeport Marketplace. Bristol Farms is more than an extraordinary food store; as one frequent shopper describes it: "It's like Disneyland for foodies." The highest-quality produce can be found in colorful, farm-fresh displays. Baked goods are of artesian standards, and the wine selection? Premier. Certainly, one can quickly fill their carts with both pantry necessities and exquisite finds, but the store is best enjoyed at a more leisurely pace. Linger over generous samples of fine cheese, sip a freshly-brewed cup of Peet's Coffee, and realize that finally, grocery shopping is no longer a chore. 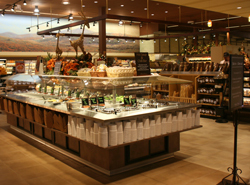 Bristol Farms is located at 23975 Newhall Ranch Road in the Bridgeport Marketplace 284-5970 www.bristolfarms.com. 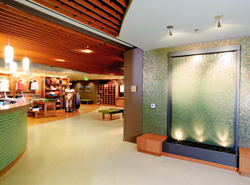 There are usually two major obstacles that prevent pleasurable browsing at jewelry stores. First: too-high prices. Second: too-pushy sales people. Neither are welcome at Bella Jewelers. 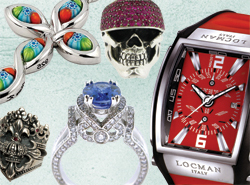 The family-owned and run, European-styled boutique offers a variety of Italian brands and timepieces that are as beautiful as their custom-created designs. Whether you want to recreate a family heirloom piece (using its original gold and jewels), crave an affordable gift (prices range from $25 to "sky's the limit") or are searching for high-fashion silver accessories, you'll agree that Bella Jewelers is Santa Clarita's newest treasure. Bella Jewelers is located at 24039 Newhall Ranch Road in the Bridgeport Marketplace 255-0819. Stop struggling to find balance between your sense of morality and your budget. Simplese, a truly one-of-a-kind European home decor and gift boutique, offers Fair Trade Certified goods - at a fair price. Simplese owners are passionate about the quality, style, and craftsmanship of every product they carry. 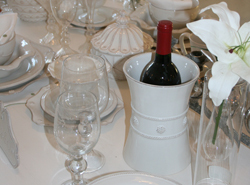 Everything in the store is hand selected from places like France, Spain, Italy, Portugal, Holland - and Santa Clarita. Simplese invites local artists to showcase (and sell) their work within the boutique. Mention this promotion for 10 percent off your purchase through March 15. Simplese is located at 24035 Newhall Ranch Road in the Bridgeport Marketplace 260-3377 www.simpleseshop.com. If you always craved a fashion-forward friend or sibling to guide you through the perilous world of style, visit the "little building against the hillside" in the Bridgeport Marketplace. There, you'll find Threads Boutique, which is filled with contemporary women's clothing - and friendly family members eager to include you in their extended clan. Deck yourself in William Rast, J Brand, Testament, La Made, Hard Tail, Twisted Heart, Twill Twenty-Two, T Bags, Free People, Dogeared Jewelry, gifts and more - like tees, loungewear and accessories for juniors. 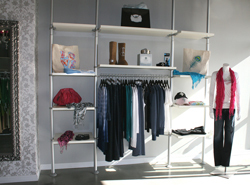 Threads Boutique is located at 24011 Newhall Ranch Road in the Bridgeport Marketplace 254-5544 www.shopatthreads.com. Dr. Ali Salmassian of Bridgeport Aesthetic Dentistry believes that you deserve respectful, high-quality dentistry and affordable fees. A USC doctoral graduate, Dr. Ali continued his educational pursuit at the prestigious Harvard School of Dental Medicine. Dr. Salmassian is a member of the American Dental Association, the California Dental Association and was named one of America's Top Dentists. 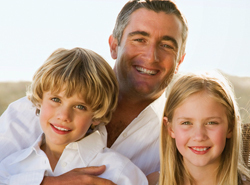 Visit him for all your oral health care needs, including gentle children's dentistry, Zoom Whitening, veneers, crowns, bridges, tooth-colored fillings, Invisalign, sedation dentistry and dental implants. Bridgeport Aesthetic Dentistry is located at 24001 Newhall Ranch Road, Suite 200, in the Bridgeport Marketplace 222-9229 www.bridgeportaestheticdentistry.com. 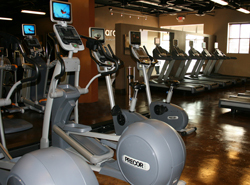 If fat-burning and strength training are on your mind in 2009, cardiogirl is the place for you. The unique boutique fitness facility, designed exclusively for women, is free from intimidation and immaculately clean. Plus, cardiogirl features the most advanced cardiovascular, strength and core equipment available. The staff at cardiogirl offers instruction and training to all members at no extra charge - providing a comfortable atmosphere with a sincere interest in your fitness goals. 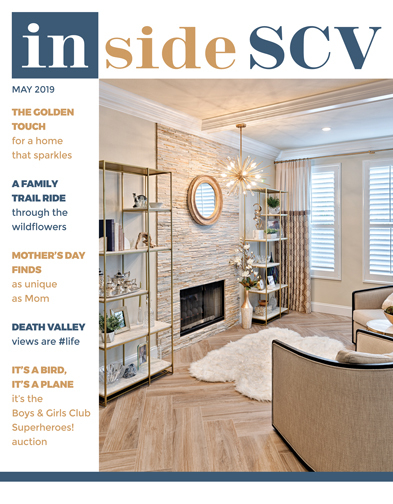 Look for their ad on page 41 in this month's magazine for your free one-day guest pass. cardiogirl is located at 24003 Newhall Ranch Road in the Bridgeport Marketplace 255-8800 www.cardiogirl.com. It's the rare woman who can make it through life without the assistance of an excellent hair care specialist and nail technician. Part cosmetologist, part therapist, and 100-percent necessity, these beauty pros are often considered coveted secrets. After all, if everyone has the same look, what's the point? At Chic Hair Salon & Nail Spa, your secrets are safe with them. Offering exceptional customer service coupled with the finest in cuts, color and high-fashion nail designs, Chic is the place where "gorgeous" happens. Chic Hair Salon & Nail Spa is located at 24009 Newhall Ranch Road in the Bridgeport Marketplace 644-8808. Massage Envy is the leader in bringing the benefits of massage out of the expensive spa environment and into the affordable realm of the community marketplace. Massage Envy's "Wellness Program" provides members with a myriad of benefits, including a monthly massage or facial and additional massages at reduced rates. They are open seven days a week with late evening hours to accommodate busy schedules. Also, with several hundred locations open nationwide, even when you're not in town, you can enjoy the benefits of massage or a facial at any of their locations. 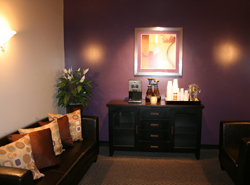 Massage Envy is located at 23957 Newhall Ranch Road in the Bridgeport Marketplace 259-0878 www.massageenvy.com. Dr. Reza Salmassian, of Salmassian Orthodontics, is an Invisalign certified provider who offers clear braces for an aesthetic, metal-free smile and utilizes the latest in orthodontic brackets and wires - all in a modern, state-of-the-art office. Plus, all-digital x-rays are used to significantly reduce radiation. Interest-free financing and convenient evening/weekend hours are offered to make your experience even more pleasant. Dr. Reza strongly believes in the life-changing benefits of a healthy smile and makes every effort to provide patients with the quality care they deserve. 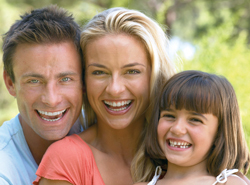 Salmassian Orthodontics is located at 24001 Newhall Ranch Road, Suite 220, in the Bridgeport Marketplace 222-7444 www.salmassianortho.com. 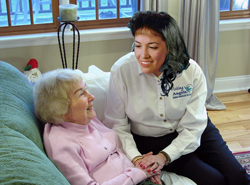 Visiting Angels provides essential non-medical in-home care services to seniors in the Santa Clarita Valley. Their mission is to support people who are dealing with the challenges of aging by providing care delivered with dignity and respect. Visiting Angels caregivers provide vital services, like help with bathing, personal care needs, meal preparation, companionship, safety supervision, light housekeeping and medication reminders. They also compassionately provide caregivers with special skills in the areas of end-of-life and dementia care. Visiting Angels of Santa Clarita is located at 24001 Newhall Ranch Road 263-2273 www.visitingangels.com. Yogaworks is a state-of-the-art facility where you can ease your mind and work your body with a tremendous array of yoga and hybrid (think: dance, Pilates) classes lead by the finest teachers. There are three classrooms, elegantly-tiled showers, free towels, a tea lounge, wi-fi and kidsworks - a childcare facility where kids can read, work on craft projects, play with educational toys, or nap in a safe, secure setting - while Mom takes a yoga class, and then has a much-needed chance to relax in a pristine shower, blow dry her hair and emerge completely renewed. Yogaworks is located at 23951 Newhall Ranch Road in the Bridgeport Marketplace 799-2645 www.yogaworks.com. California Pizza Kitchen, Inc., founded in 1985, features an imaginative line of hearth-baked pizzas, including the Original BBQ Chicken pizza, and a broad selection of made-to-order pastas, creative salads, soups, sandwiches and delicious desserts. CPK offers dine-in, take out, curbside service, online ordering, catering and the award-winning CPKids Menu. The Valencia restaurant will feature an extensive beverage menu from its full bar, including CPK's original California Cosmo, along with its newest cocktails: Harvest Punch, Cherry Limeade and Cranberry Mint Cooler. California Pizza Kitchen is coming soon and will be located at 24061 Newhall Ranch Road in the Bridgeport Marketplace www.cpk.com. Known for its fresh and delicious food, Daphne's Greek Cafe features a variety of contemporary Greek dishes served at reasonable prices in a warm and friendly atmosphere. 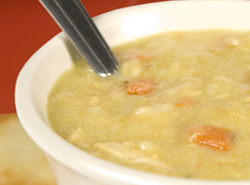 Daphne's provides everyday values with savory and sweet $1 items such as the Hummus & Pita Starter, Roasted Red Pepper Hummus & Pita Starter, Lemon Chicken Soup add-on, and for dessert, Baklava. Other favorites include healthy and flavorful signature dishes such as the Grilled Chicken or Steak Ka-bob Plate - two flame broiled skewers marinated in lemon, herbs and spices, served with a Greek salad, rice pilaf, warm pita bread and Tzatziki sauce. 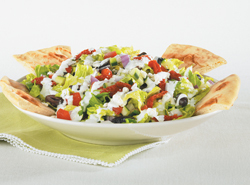 Daphne's Greek Cafe is located at 24029 Newhall Ranch Road in the Bridgeport Marketplace 253-0488 www.daphnes.biz. For Frank Competelli (of the famed Frankies on Melrose restaurant), family and kitchen are the heart and soul of the Italian dining experience. A New York transplant and SCV fan (daughters Rosemary and Teresa are Santa Clarita residents and run the Bridgeport location), he cooks all the Big Apple favorites: Frankie's Maine lobster fra diablo, calamari, scungilli, baked clams alla Vincent, pasta, broccoli rabe, sausage and peppers, eggplant parmigiana and great steaks. 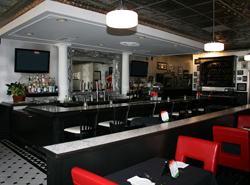 Top it off with espresso and cannoli, and dine as late as you wish - Frankie's kitchen is open until midnight. Sabor Cocina Mexicana means "flavor of a Mexican kitchen," but the fresh, authentic fare of Sabor requires no translation. The Sabor philosophy can be summarized by one of their most popular drinks: the Bentley Margarita, featuring 1942 Don Julio Tequila. Why choose a Cadillac when you can have a Bentley? Sabor's clean-plated dishes are anything but Tex-Mex. You'll find top-quality meats and seafood, including organic options like the Chicken Salad, finely prepared with exquisite attention to detail. 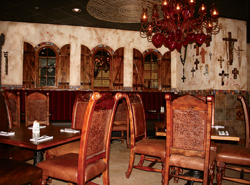 Almost as delicious as the food is the ambience; Sabor is meant to be savored in every way. Sabor Cocina Mexicana is located at 23953 Newhall Ranch Road 259-9002 www.saborcocinamexicana.com.